In this thread, Game Management will publish the rules which are valid during an event or a convoy. This may also include whether it is held on an event server. If you want to "legalize" your convoy/event and your rules, have a read at the topic below and make your request through feedback. Please note that when requesting a dedicated event server, proof must be provided of 100+ minimum attendees before it is accepted. Pushed update to the topic + separated Event server requests from this topic. Only convoy staffis exempted from §2.3, other participants are not. Free-roaming on the event server is not allowed. 1) This merely includes the first sentence of §2.4. A violation of any of the individually requested rules will result in a kick while violating the official TruckersMP rules remains punished as usual. Game Moderation staff is exempted from all individually requested rules. All other rules remain valid and will be enforced accordingly in case of violation. Convoy staff is fully exempted from §2.3. Convoy staff is partially exempted from §2.4, as long as driving the wrong way is performed in a safe manner and does not result in an accident. A violation of this will remain punishable. Convoy staff is allowed to control traffic. A violation of any of the individually requested rules will result in a kick while violating the official TruckersMP rules remains punished as usual. All other rules remain valid and will be enforced accordingly in case of violation. Overtaking for participants isn't allowed without an approval from the event staff (NRL - Nordrock Logistic/ConSec). Participants must have a trailer. Follow the instructions from the convoy control (ConSec): indicator and chat signals. It is allowed to block roads with the convoy at the start, break and destination. Convoy control (ConSec) is exempted from §2.3 (to block roads for showing the right route) and §2.4. Beacons are only allowed for the convoy control. Das überholen für Teilnehmer ist, ohne Einverständnis des Veranstaltungspersonals, nicht erlaubt (NRL - Nordrock Logistic/ConSec). Jeder Teilnehmer muss einen Auflieger angehängt haben. Den Anweisungen der Konvoiabsicherung (ConSec) ist folge zu leisten: Blink- und Chatzeichen. Der Konvoi darf während dem Start, der Pause und des Ziels Straßen blockieren. Die Konvoiabsicherung (ConSec) ist von der Regel §2.3 (zum blockieren von Straßen für das anzeigen der richtigen Route) und §2.4 freigestellt. Das anschalten der Rundumleuchten ist lediglich für die Konvoiabsicherung zugelassen. Event Staff are exempt from rules marked with an Asterisk (*). The use of the Blue Eyes Event Server should only be for participants of the Blue Eyes Event. If you are caught away from the group, you will be punished via a kick from the server. Instructions from the Event Staff should be followed without any hesitation. If you ignore the Event Staff, this may result in a kick from the server. 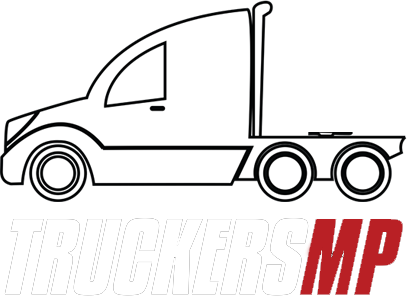 TruckersMP Game Moderators are considered Event Staff providing they have been cleared with the Event Manager. Any attempt to disrupt the event is considered trolling, and normal procedure will be carried out by Game Moderators. You are not to have any trailers in your slots. They should be left in the designated area on the slot map. All participants are to leave as per instruction from Event Staff, this will be announced via the in-game announcement system by Game Moderators. Heavy haul and/or world of trucks trailers are not permitted, you will be kicked if you are caught using one. Only Convoy Control, Media Teams and the Event Management are permitted to block junctions. Only assigned Media Teams and Event Staff are permitted to travel in the wrong direction as long as this is done safely. Event Staff cannot impersonate Game Moderation, for example, threatening with actions taken against somebody, they can only guide people, and quote the rules. They should report to a Game Moderator as per usual. Event Management have the authority to request removal of a user from the event. Game Moderators are permitted to TPC Event Staff when required. Event Staff are not to be banned, kicked during or after the event for any "situations" that may occur during and or after the event. Roads may be blocked by event staff. Event staff members only are able to overtake the convoy. Event staff only may drive on wrongway. Caps writing and spamming are allowed. It's a VTC event, so only members from VTC's should be in attendance. All other official TruckersMP rules apply. No Truck without Trailer is allowed. Overtaking in the convoy is not allowed Except CC, Media, and TMP admins, you will get kicked out. Cars are not allowed, Except Convoy controllers & TMP Staff. Acting as Admin or CC is not allowed. Free roaming, Except the convoy Route, will result in kick or ban from the server if repeated. You are free to use any of the Gas station or rest stop on the route. Maintain Safe distance, Heavy trailer or Double trailers are strictly not allowed. 3 - Reckless Driving* - Event Staff and Event Media are allowed outside of the map boundaries mainly for Media/CC purposes. -Overtaking for participants isn't allowed without an approval from the event staff (SpedV-Team/ConSec). -Participants must have a trailer. -Follow the instructions from the convoy control (ConSec): indicator and chat signals. -It is allowed to block roads with the convoy at the start, break and destination. -Convoy control (ConSec) is exempted from §2.3 (to block roads for showing the right route) and §2.4. -Beacons are only allowed for the convoy control.